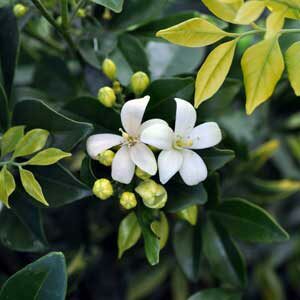 A very handsome shrub which is a mass of highly fragrant white 'citrus' flowers in Autumn & Spring. 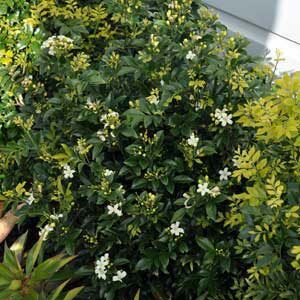 Ideal for warm, sunny, well-drained areas. Protect from frost. Prune & fertilise as required. Evergreen. 1.5 x 1m.